Hip hop star Usher has come over to the green side. Radar Online is reporting that the 33 year-old singer has gone vegan, and loves what it’s doing to improve his already enviable abs. The source adds that thus far, Bieber isn’t game for the change in diet, but he does see Usher as a mentor, so it can’t be ruled out. Bieber is also friends with Ellen, so maybe Usher and the host can both work on convincing him. Usher has apparently focused more on healthy living since his father died of a heart attack in 2008. Bill Clinton and Rosie O’Donnell would agree that the best medicine to keep your heart healthy is to adopt a plant based diet. Kudos to Usher for changing up his eating so he can be around to entertain the world for many years to come. Our big question is… What are his favorite restaurants in NYC? Has anyone spotted him at any vegan joints? The Red Bamboo (140 W. 4th St)….i live in Chicago, but this is my must-go-to restaurant while in nyc. Definitely don’t eat there anymore, their sanitation conditions are atrocious. I’m speaking as an eye-witness who used to work there. I work at a very popular vegan restaurant in NYC and have not had him come in, but I had heard that he refuses to tip! Maybe his compassionate lifestyle will change that! Aw thats wonderful to hear..Yah! Rosie just went vegan also, why shouldn’t she be entitled to give advice? veganism isn’t a diet. the diet vegans have is called plant-based or “strict vegetarianism”. veganism is a moral stand against injustice. nothing to do with health. For me it started with HEALTH. Get over yourself and show compassion to humans. If he follows a plant based diet for health reasons, then he is a dietary vegetarian, not a vegan. Anyways, I’m glad he switched to a plant based diet! More celebrities should do the same, as it’s better for other animals, for the planet, and for their own health. Go veg! More celebrities should do the same, as it’s better for the other animals, for the planet, and for their own health. Go veg! I was already a fan…but now I am a mega-fan! Love this! 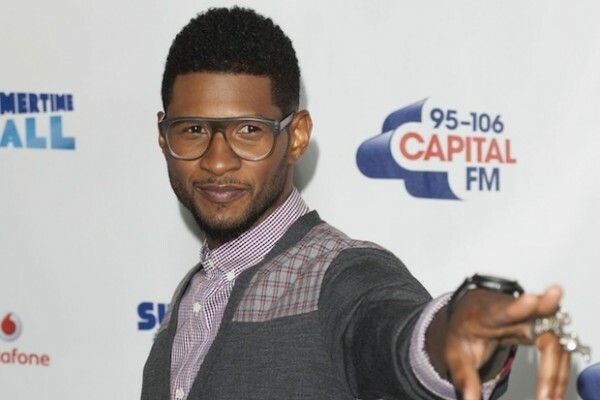 Who cares about the correct ‘term’- he’s doing something so wonderful for the planet, the animals and himself- GO USHER! It would be a great way to get the word out about veganism to teenagers. It’s great to hear that more and more people are turning to veganism! Watch the documentary titled: ‘Earthlings’! Go vegan! I bet he frequents Peace Café. It is a great restaurant with two locations.